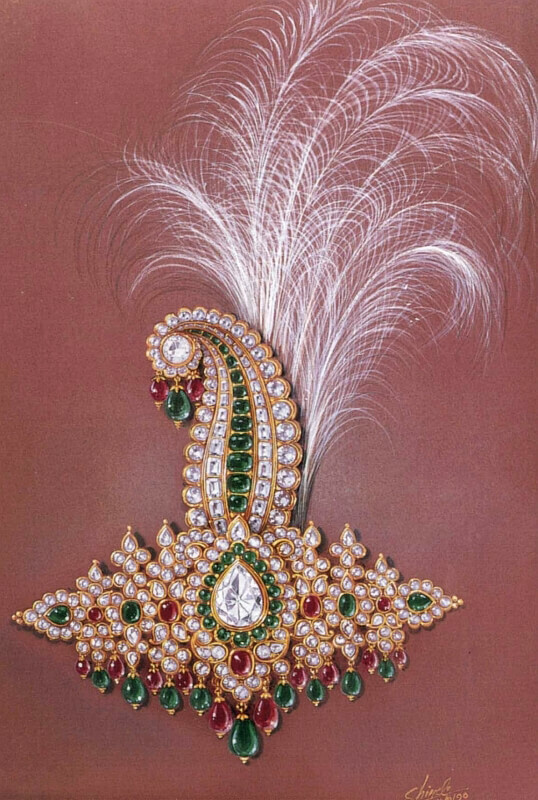 Fabulous jewels of the Nizam of Hyderabad including the legendary Imperial (Jacob) diamond. 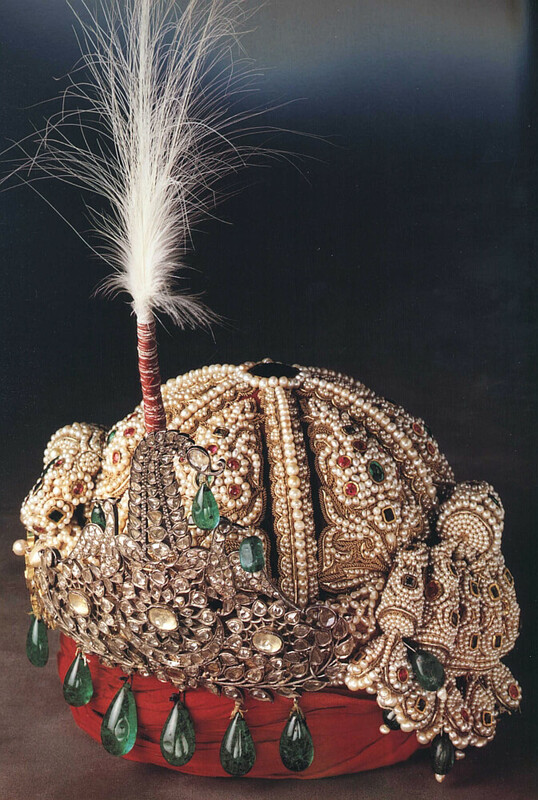 In 1972 the prize jewels of the Nizams of Hyderabad were offered for sale to the Government of India for Rupees 218 crore. The deal was struck. 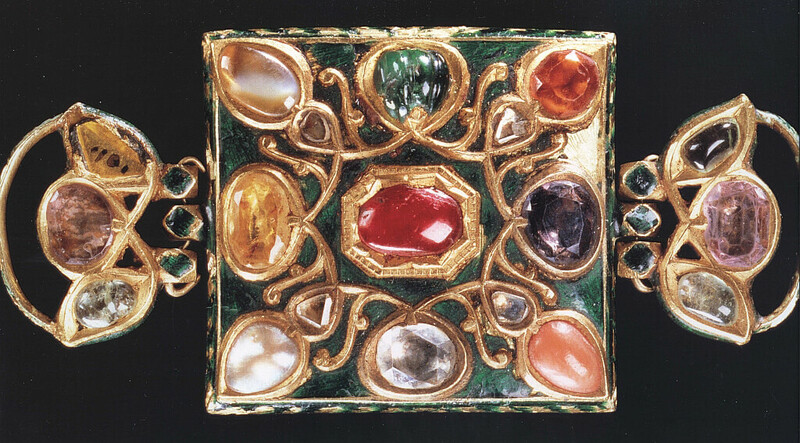 However, it took almost 23 years to finally acquire the jewels, after prolonged court cases and colossal expenses. First, the jewels were shifted to the vaults of the Reserve Bank of India from the Hongkong Bank where they were being held earlier. 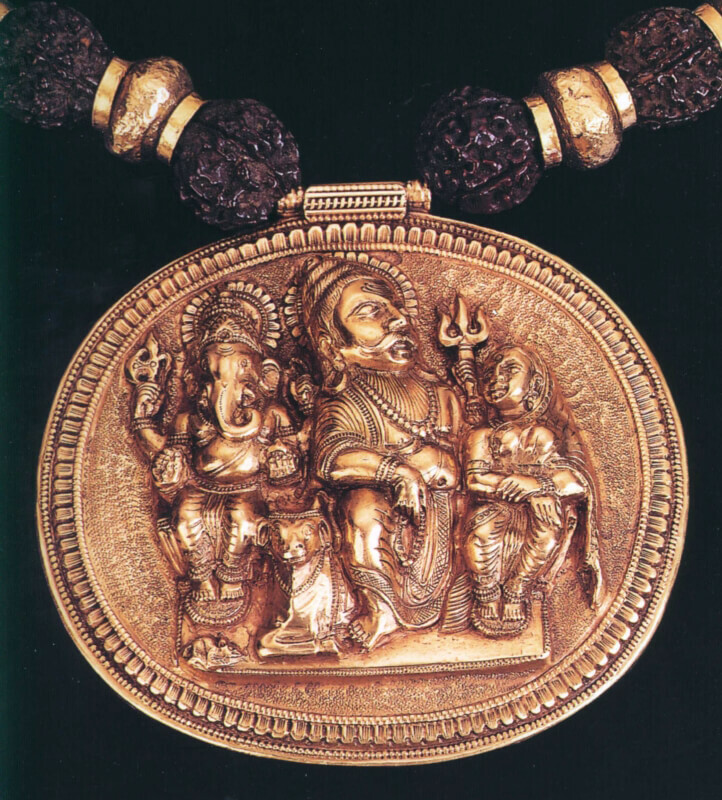 Later, the jewellery was exhibited for the first time at the National Museum in New Delhi for about two months during September – December, 2001. The 173 piece collection was built up over seven generations of the Asaf Jahis or the Nizams as the rulers of Hyderabad were called. Although the Nizams ruled over the Deccan, they had adopted the lifestyle, court traditions and administrative practices of the Mughals. 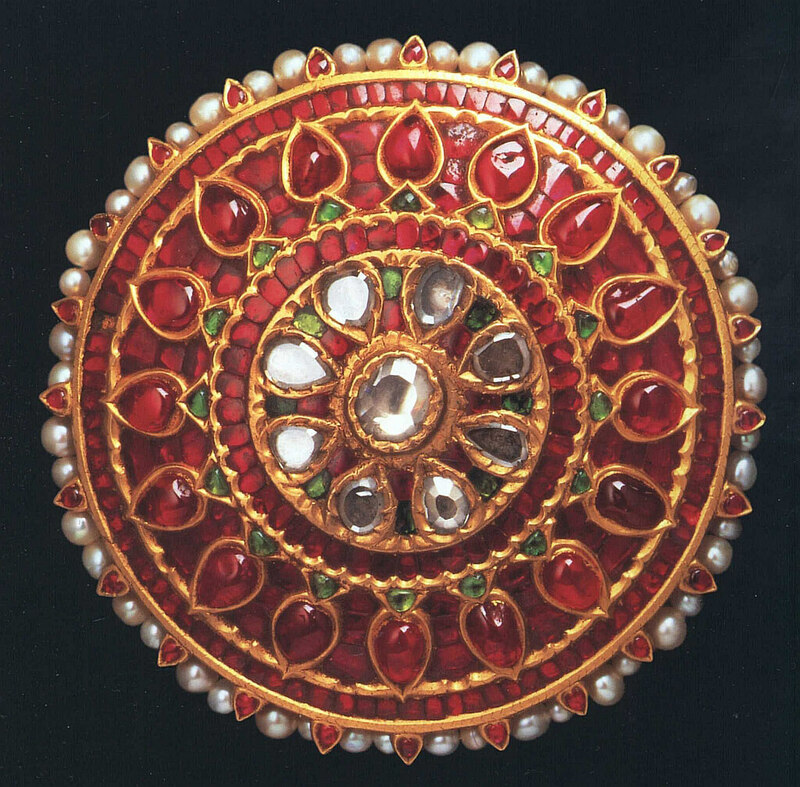 The jewellery, therefore, is a synthesis of Mughal, deccani, as well as European influences. It reflects the ethos of a dynasty that originated in the Mughal court, ruled the Deccan and was a staunch ally of the British empire. It was during the seventh and the last Nizam’s -Mir Osman Ali Khan- time that care was taken to preserve the timeless treasure. It was difficult for the Nizams, who had a large family and a retinue of servants, to take care of their own. It was then that Mir Osman Ali Khan, with a view to safeguarding this fabulous wealth, started liquidating a portion of his astronomical fortune and allocated it to a series of trusts. 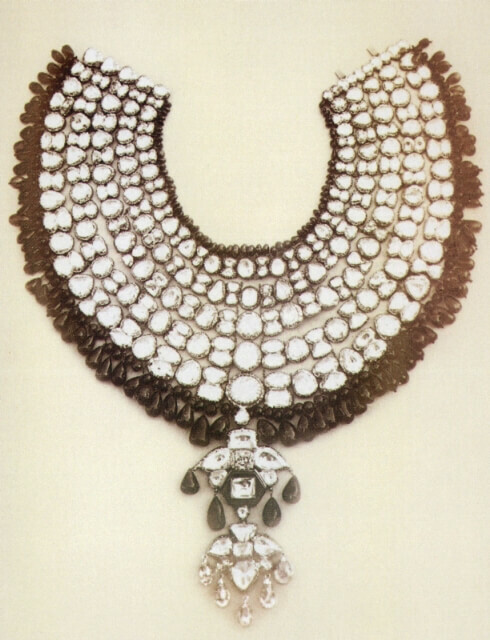 The most unique of these was the Nizam Jewellery Trust, being the only one to have been established by an Indian ruler. 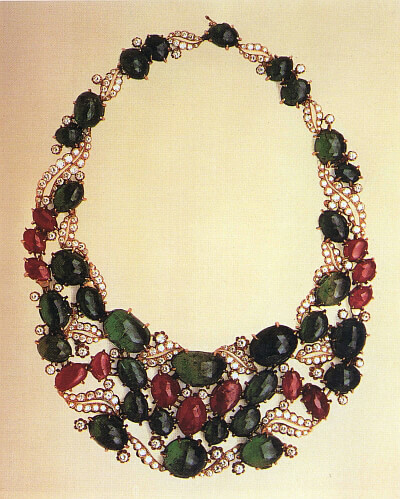 He also created a supplementary Jewellery Trust, incorporated in 1951, being the only one to have been established by an Indian ruler. 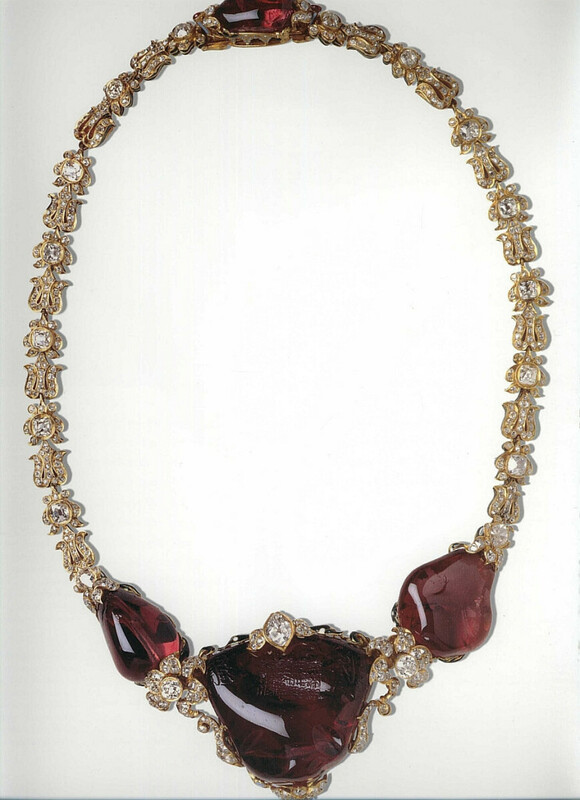 He also created another supplementary Jewellery Trust after allocating gifts to his grandsons in 1952. The trustees kept this treasure of great historical value in the vaults of the Hongkong Bank. The present collection comprises a total of 173 items. 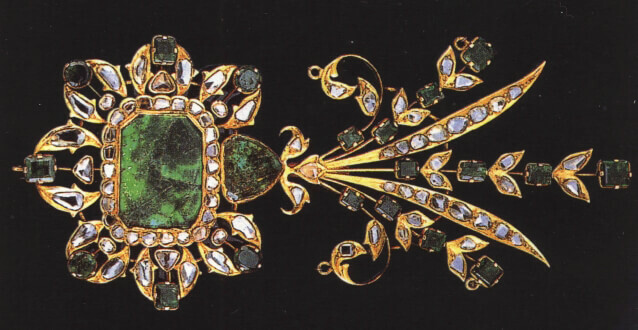 The actual number of the pieces is 325 (counting individual pieces and not as pairs) excluding about 22 unset emeralds and the legendary Jacob diamond. 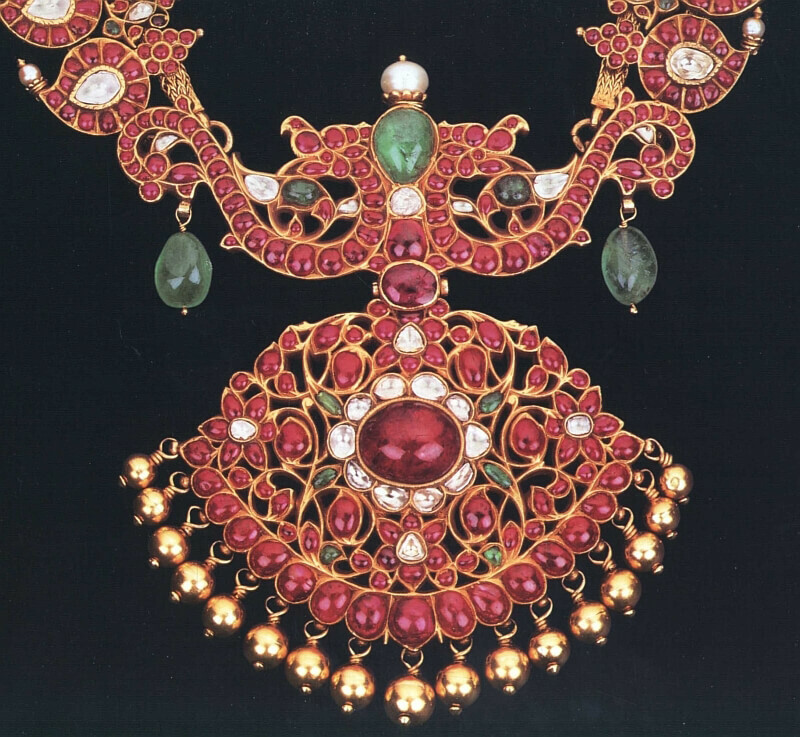 The collection includes a number of sarpench (bejew-elled headgear), necklaces, waist-belts, buckles, brace-lets, anklets, armlets, toe-rings, finger -rings, pocket watches, watch chains, buttons and cuff-links, to name but a few. 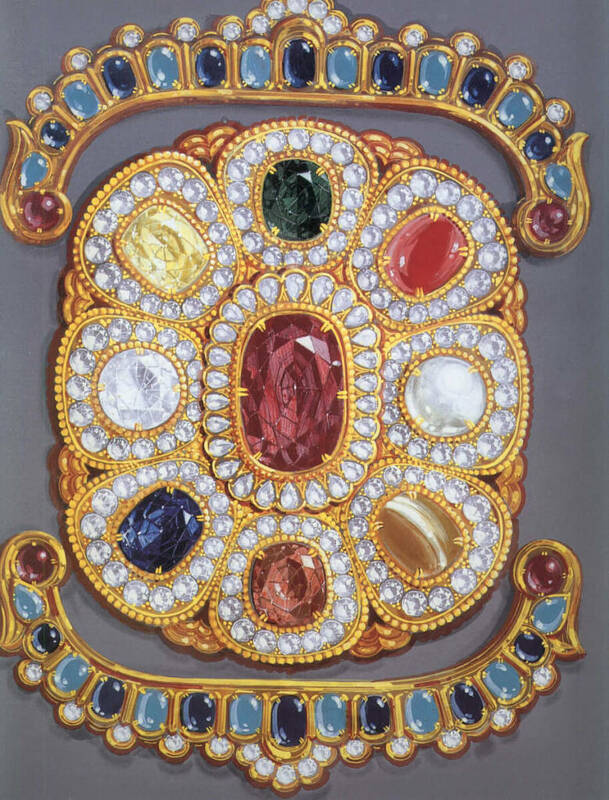 All the jewels are flamboyant, yet, there are certain pieces which stand out for their unique quality, size and colour, and most importantly, for their workmanship. 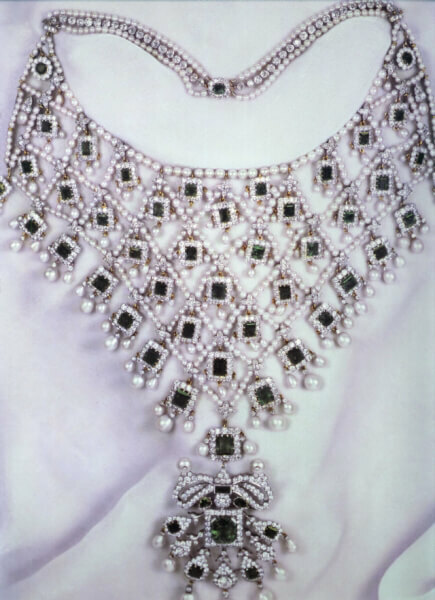 Most of the diamonds used in the jewellery came from the mines in Golconda which were owned by the Nizams. This is one reason why all the pieces invariably have diamonds that are either uncut or cut into magnificent pieces by the local artisans. 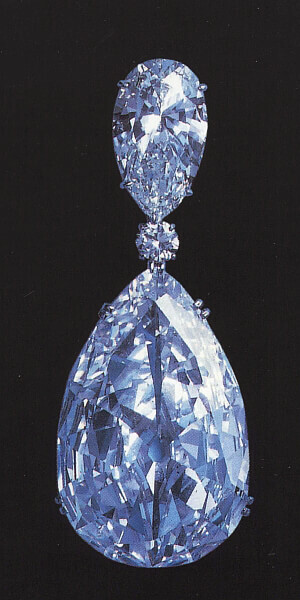 The luster and brilliance of the Golconda diamonds is most apparent in the sarpenchs, especially those that are to be worn over the headgear. 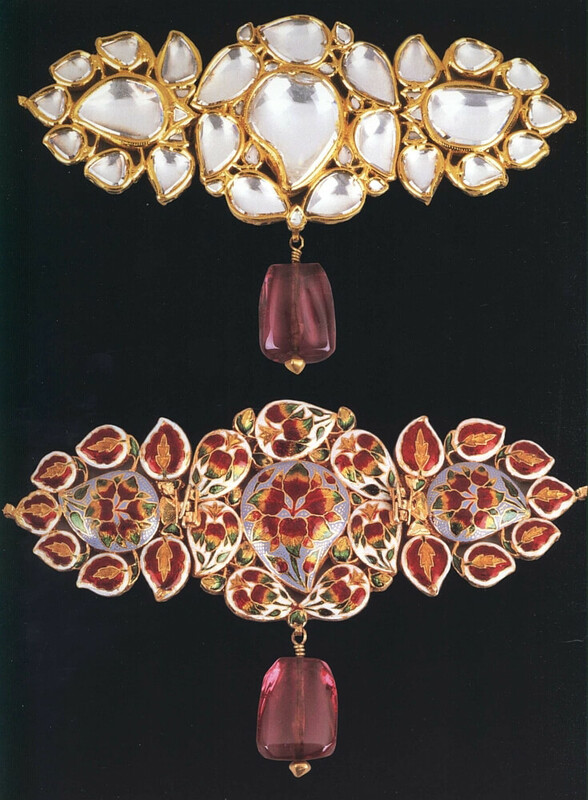 These are in gold, set with diamonds, emerald beads and cabochon rubies. There is a very special sarpench which was made for a young prince, Mahabub Ali, when he ascended the throne. It is called ‘Bachkana sarpench’ and has been chosen to be the logo of the exhibition. The brilliance of Golconda diamonds set in this piece outshines that in any other piece. A solitaire set in gold, with five smaller diamonds on each side, has on its top an exquisite bird crafted with small diamonds for its plumage and a ruby as its eye. Interestingly, the bird holds a tiny ‘taveez’ (lucky charm) in its beak. Among the exhibited pieces, the imperial diamond, known as Jacob diamond, is a fabulous piece, Weighing 184.75 carats, this sparkling beauty is double the size of the Koh-i-Noor diamond and is said to be the seventh largest in the world. 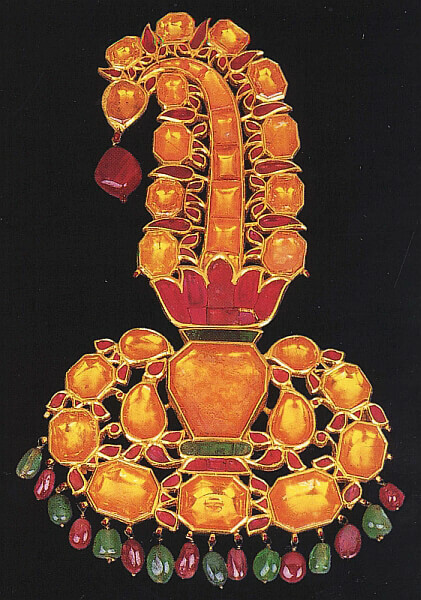 It was acquired by the sixth Nizam, Mir Mahabub Ali Pasha in 1891 from a Jewish trader, A.K. Jacob and hence the name.